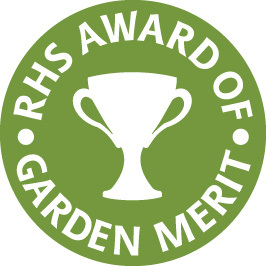 The Award of Garden Merit (AGM) issued by the Royal Hoticultural Society (RHS) helps gardeners find reliable, consistent plants that will provide particularly good value in the garden.The award is granted after trials at the RHS’ garden at Wisley in Surrey and/or assessment at specialist collections or discussion at meetings. 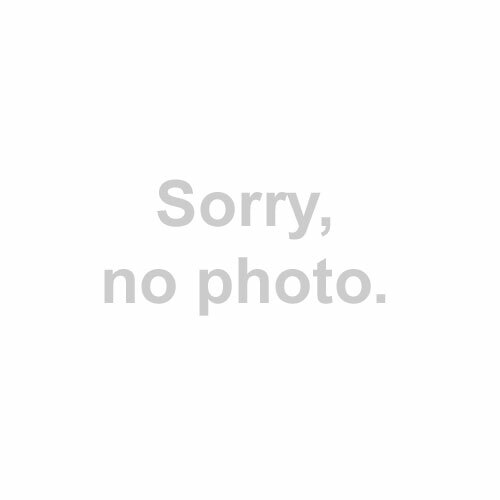 There is a set list of criteria that plants have to meet to be deemed worthy of the AGM. 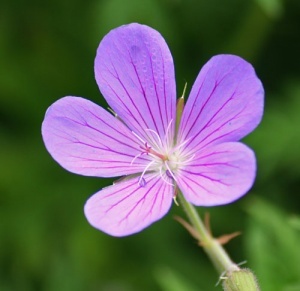 For more information on the AGM please visit the RHS Website. Nursery owner, Tim Fuller, has been involved with judging the trials at RHS Wisley since 2008. 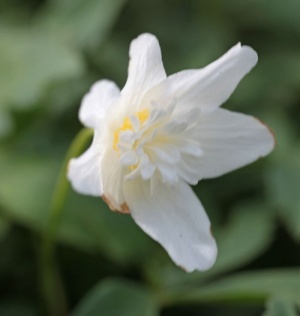 Popular form of Wood Anemone for its bright white flowers with a ruff of bright white petalloid stamens giving a near double look. 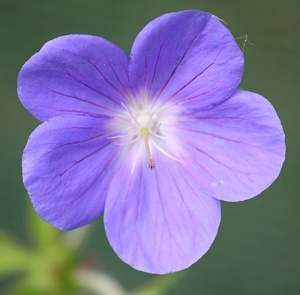 Low growing spring flower for shade and ordinary soil. 15cm. 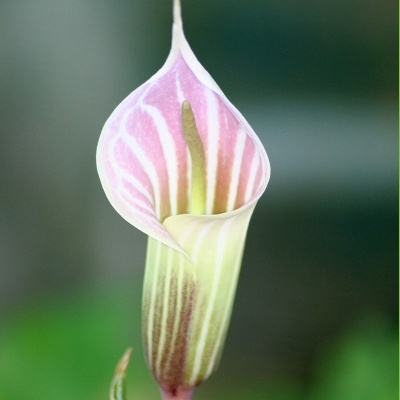 Amazing white spathes with pink candy stripes inside appear slightly before the leaves in late spring. Big rounded trifoliate leaves make an attractive feature later. Good soil that never sits wet in shade. 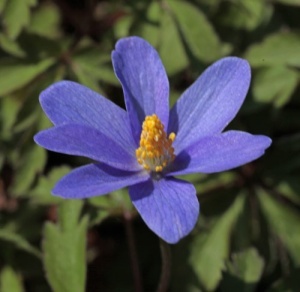 Flowers to 30cm, leaves to 75cm. 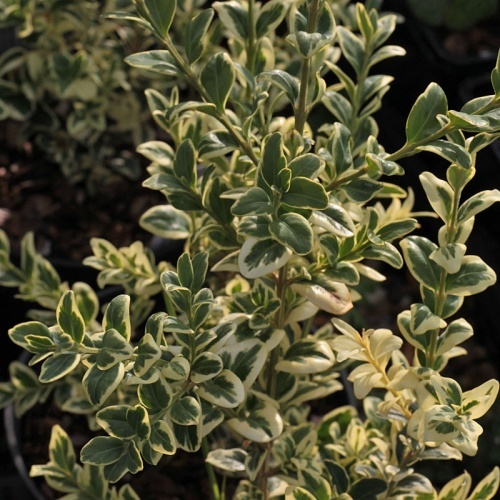 AGM Grey leaves with nearly white undersides and long tapering spikes of white flowers from midsummer into autumn. 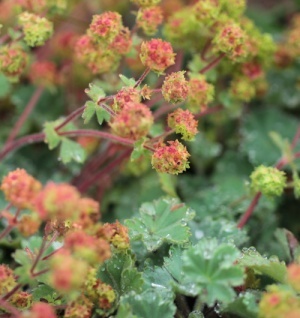 Deciduous, best in a sheltered position in full sun in drained soil. 2m. Very pretty cream margined selection of Box. Grow it as a free standing shrub and don't clip it for the best effect - this also seems to reduce problems increasingly seen with box. 1.2m in 10 years if you're lucky. 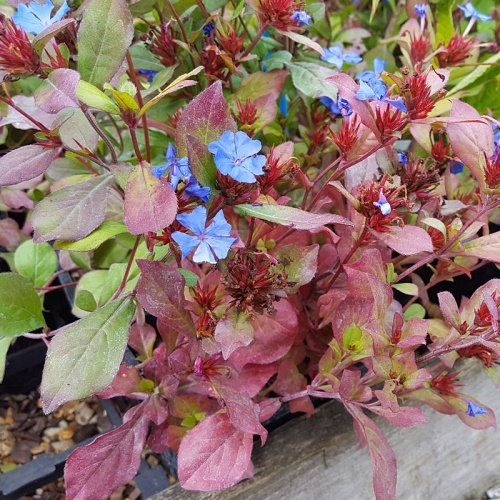 AGM A low growing shrubby plant making a patch in time, studded with brilliant blue flowers from midsummer into autumn. Excellent for autumn foliage colour. 30cm. Drained soil in sun. 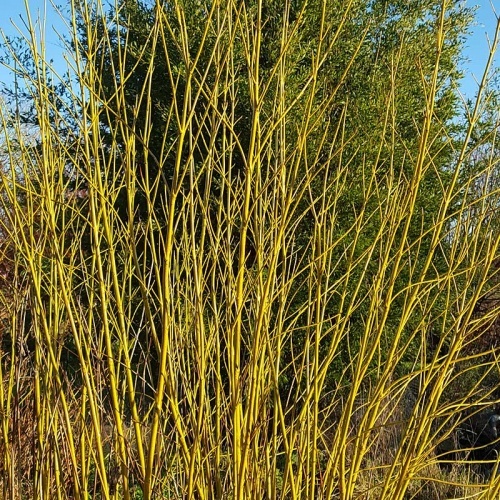 Glowing greenish yellow winter stems are the main reason for growing this dogwood. 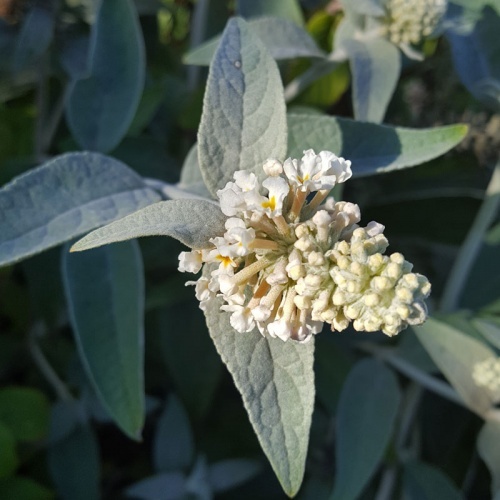 Small clusters of white summer flowers followed by white berries. 2.4m if you don't cut back to a stump every year..
A recent introduction from Kurt Bluemel. Dwarf growth to only 1.4m. Steely grey foliage and warm buff flowers from July (rather than October as with other cultivars). Full sun, evergreen. 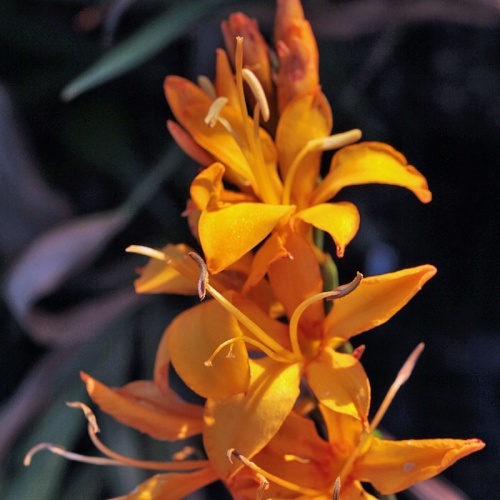 AGM A good clear, rich yellow form with arching spikes of upward facing flowers in mid to late summer. Drained, but good soil in full sun for the best flower. 90cm. From Rowallane in N. Ireland. The King. 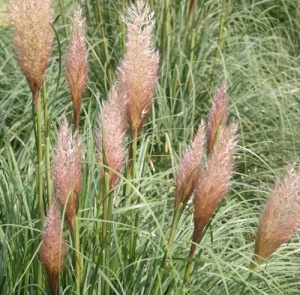 A very popular form with multiply divided ends to the pinnae - cristate - giving a ruffled look to the fronds. Rich green clumps to 75cm. Shade, even fairly dry. 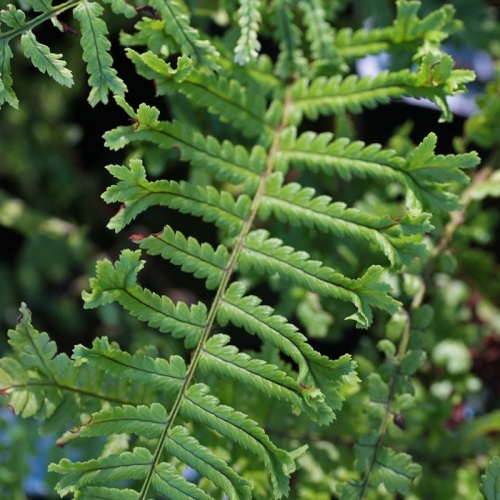 AGM An attractive semi-evergreen fern with light green fronds with black hairy stems. 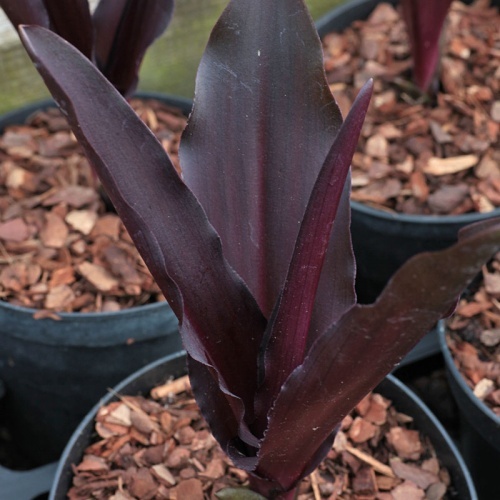 A fairly compact species to 60cm for ordinary soil in shade. Syn. 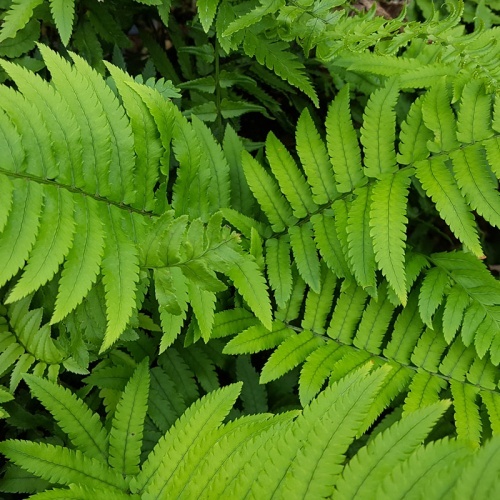 Dryopteris atrata - the Black Wood Fern. 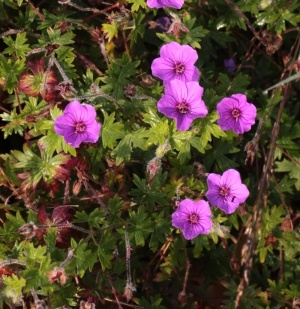 AGM Near white flowers soon flush pink then near purple on dark burgundy stems over clumps of striking leaves the same colour. Full sun, drained soil. 60cm. 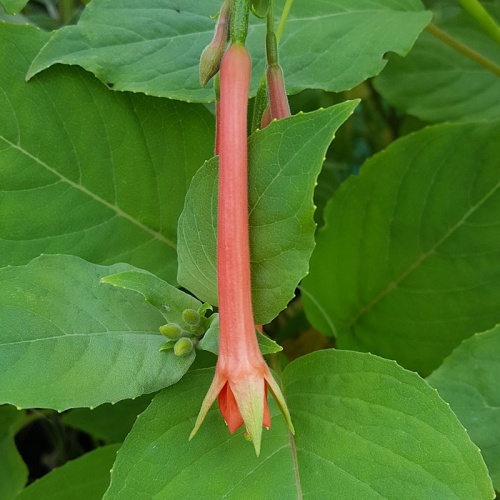 TENDER AGM Rarely seen now this vigorous species from Mexico has large pale green leaves and big bunches of incredibly long tubed orange-red flowers with distinct creamy-green sepals. Potentially 2m! AGM A elegant species with slender bright reddish pink flowers with purple corollas and red filaments. 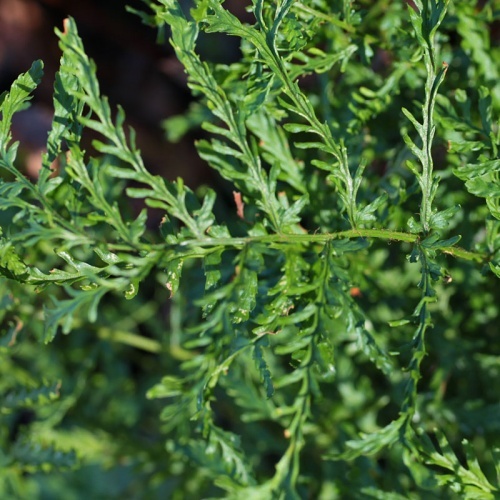 Smallish but broad leaves try to be evergreen. 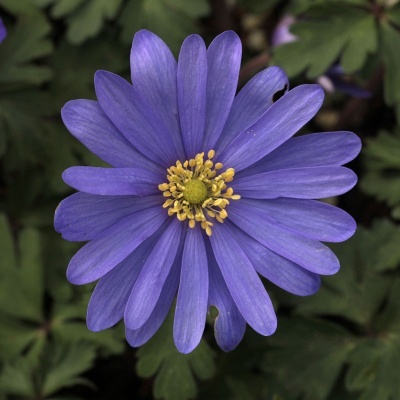 Borderline hardy - drained soil in a sheltered position, light shade. 60cm? 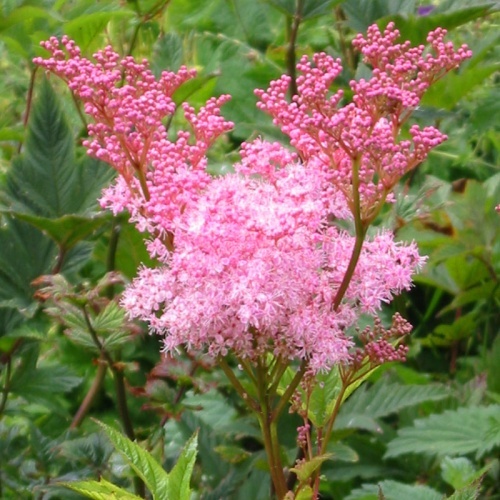 A really good bulbous plant for a sunny, well drained site. 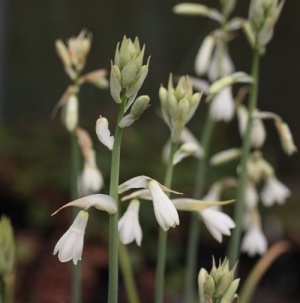 Funnels of broad greyish leaves and strong upright stems with spikes of large white bells in summer to 90cm.